Biff Mithoefer teaches Yin Yoga teacher trainings and workshops in the U.S. and internationally. A 500-E Yoga Alliance registered teacher, Biff has trained and taught extensively with Don & Amba Stapleton, and has studied Yin Yoga and anatomy with Paul Grilley. He has studied shamanism with teachers of the Shapibo tradition of Eastern Peru, and is a student of cross-cultural shamanism, as taught by Angeles Arrien. Biff is also the founder and director of the Jamtse Sponsorship program, which provides longterm support and education for Tibetan refugee children. 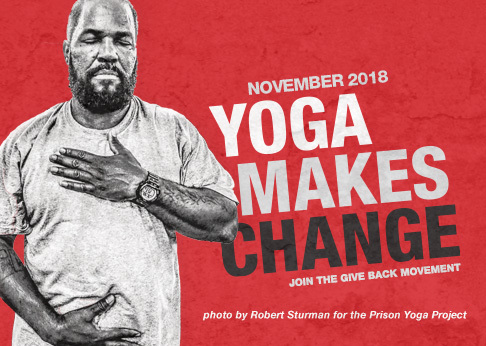 Read more: Biff Mithoefer on how Yin Yoga can help veterans to practice self-compassion. Biff is the author of The Yin Yoga Kit, and co-author of The Therapeutic Yoga Kit.